Registration for the 2nd annual SABSA APAC Congress is now open. The APAC Congress is again hosted by COSAC Security Conference, 4th – 6th December 2018 at The Langham Hotel, Sydney, Australia. 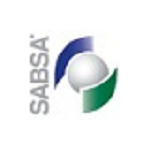 A SABSA stream will run in parallel to the main conference stream throughout the event.